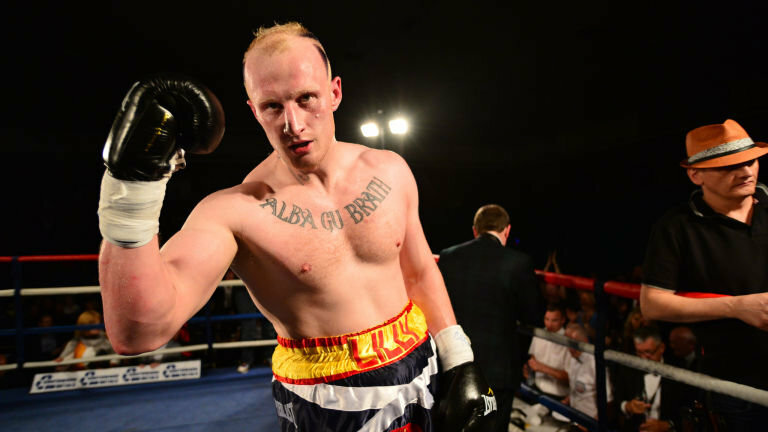 Former British title challenger Gary Cornish has switched trainers following his recent loss to Sam Sexton and gone back to his roots, as the heavyweight opens a new chapter in his career. After suffering a loss in a big title fight, a boxer can often go through a period of soul searching and look to make changes to their career. Cornish had been training with Billy Nelson but has decided to go closer to home and hook up with coach Liam Foy. Cornish is hoping that the move will help rekindle the fire as he builds towards a ring return in January 2018 at an MTK boxing special, set to take place in Glasgow. ‘The Highlander’ first came to prominence in 2015 when he took on heavyweight behemoth Anthony Joshua in London. Cornish was caught early and froze, resulting in an opening-round KO for Joshua. Managed at the time by Tommy Gilmour, with input from the charismatic Kellie Maloney, Gary was riding high with a 21-0 record, but he soon found the heavy fists of Joshua too hot to handle. Three wins later Cornish found himself back in the domestic mix and was pushed into a British heavyweight title bout with 23-3 Sam Sexton, in October of this year. Cornish was confident before the bout that he could pull off the win: “It’s a dream for me. If you said at the start (of my career), that’s what I set my mind to. I never thought I’d get to that level, but I have. I’m ready for it,” he said. Despite enjoying “home” advantage in Edinburgh’s Meadowbank Sports Centre, the Inverness man conceded a close but unanimous decision to Sexton, suffering his second career defeat in the process. Cornish was aiming for history by becoming the first Scottish pugilist to win the heavyweight crown. It wasn’t to be on this occasion, but his time may come again. Cornish probably sits around the second tier of UK heavyweights at present, on a par with the likes of Dave Allen, Nathan Gorman and Ian Lewison. Now aged 30, it’s time for Gary to target his British rivals and push his 6’7” frame back into the title picture. Cornish turned pro in 2011 and defeated a string of Eastern European journeymen, mixed in with some familiar local faces like Howard Daley, Moses Matovu and Paul Butlin, before defeating Larry Olubamiwo in 2014, which is the best win on his record. In 2015 the step up against Joshua was gigantic, but Cornish will be all the better for that experience. Now boxing under the tutelage of Liam Foy and his training team, Gary gets the chance to erase the Sexton loss and move on when he boxes Dave Howe at the end of January 2018.